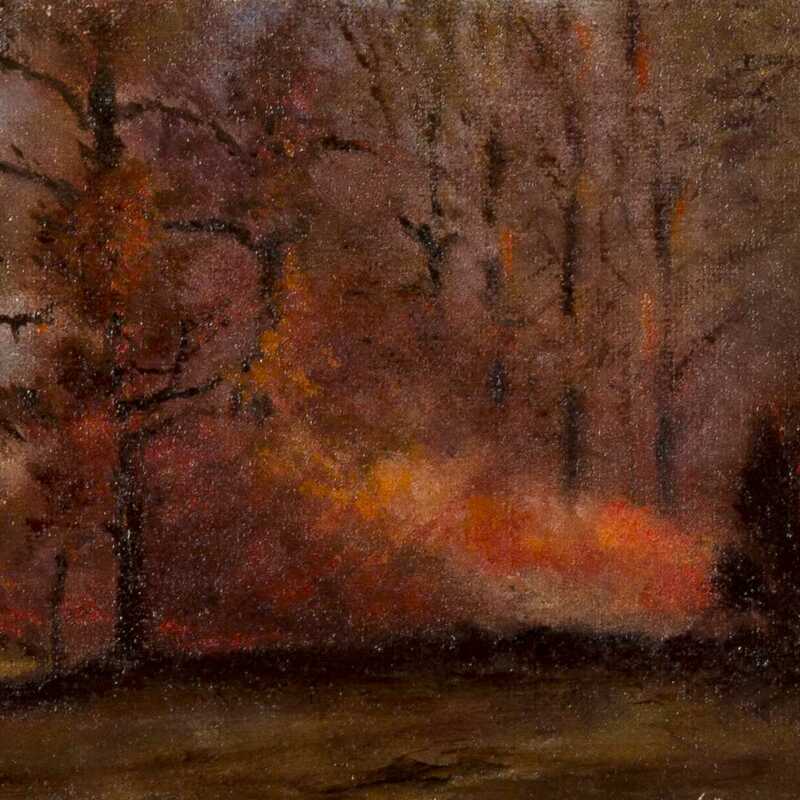 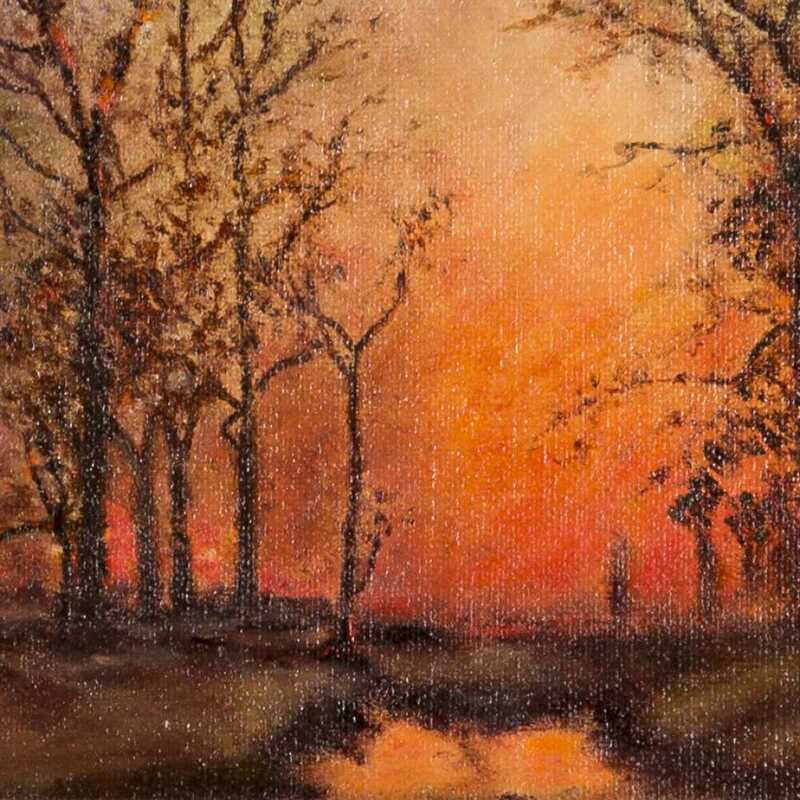 19th Century Forest Fire Scene, White Mountains, Oil on Canvas. 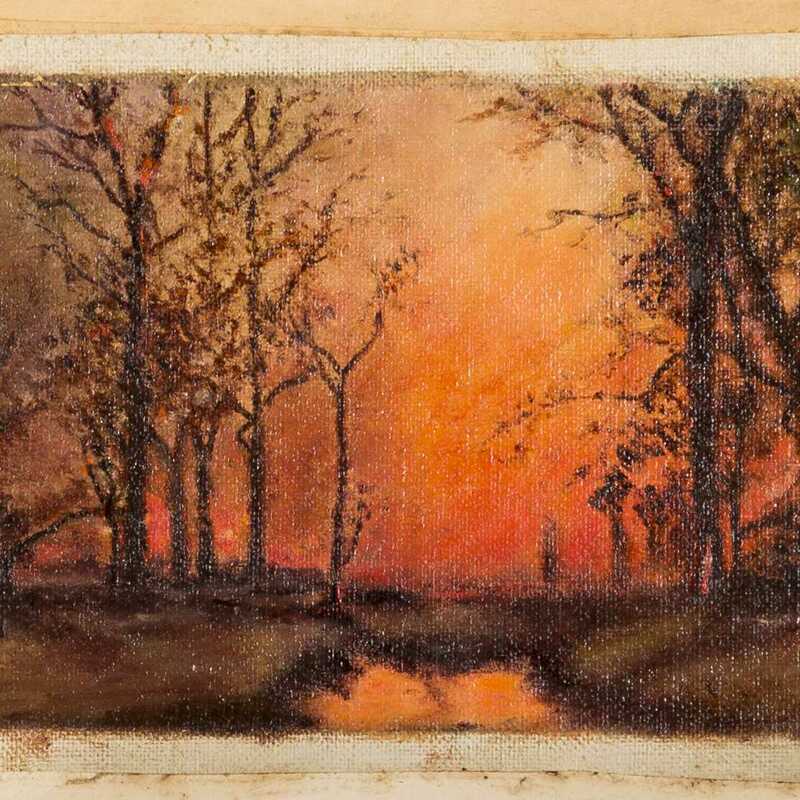 A terrific and haunting little scene, probably White Mountains school, late 19th Century. 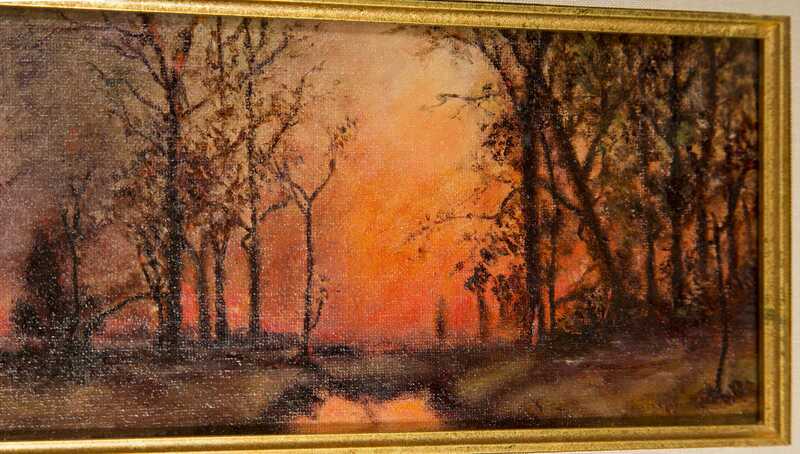 Provenance: An Old Manchester, NH painting dealer's private collection, canvas glued to board; recently cleaned, varnished, re-matted and framed, 11 3/4" x 3 1/2" sight, 16 7/8" x 8" framed.